There are two things that patients in a hospital look forward to “going under” the least. One is the surgical knife. The other is the Magnetic Resonance Imaging (MRI) machine. The latter is an unforgettable and disorienting experience. The patient rests on a table propped against a large tube-shaped machine. Inside the tube are several coils, designed to induce a strong magnetic force against the object inserted inside of it. MRIs are used as a form of noninvasive imaging technology, allowing doctors to see what’s going on inside your body without having to cut you up to do so. 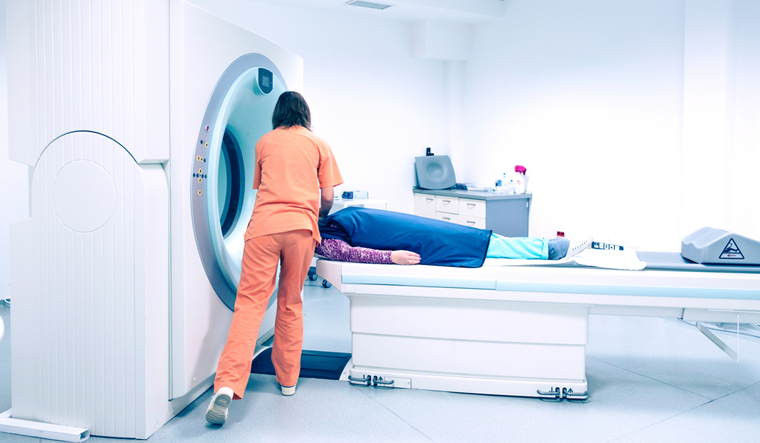 The experience of going under the MRI scan can be frightening, with many patients reporting feelings of anxiety and claustrophobia on entering it. The combination of the confined space and the irregular sound of the machine—a mix between a buzzsaw and a buzzer—makes for an experience that children often find frightening. With scans taking anywhere between ten minutes to an entire hour, hospitals across the world have tried various methods to make their MRI machines less frightening to children. Some offer headphones, some paint the machine in bright colours, and some even offer sedatives and anti-anxiety medication to those who need it. But a new development in Sweden could make the process exponentially less scary by reducing the total time under the machine to less than a minute. Researchers Stefen Skare and Tim Sprenger at the Karolinska Institute in Solna devised the new method using 5,000 lines of code and existing technology. MRI scans currently use a variety of scanning techniques, with the images combined together to make for multiple inferences. One of these techniques, Echo-Planar Imaging (EPI), allows for images to be taken really quickly. Skare and Sprenger managed to mix EPI and MRI scans into one method (EPI-Mix) that could substitute against traditional imaging techniques. The result is a blurrier image, but one that corresponds with traditional MRI scans at about 97 percent according to the as-yet unpublished study. After initial results proved promising, they formed a larger team to investigate the feasibility of the new technique. In 2018, Skare and his team successfully demonstrated a 70-second brain scan on a moving subject using the process, with the results syncing up well with traditional MRI scans. To demonstrate the technique’s efficiency, Skare has released a video showing 30 patients receiving multiple scans in under an hour. The team won the 2018 Athena Prize for their findings.